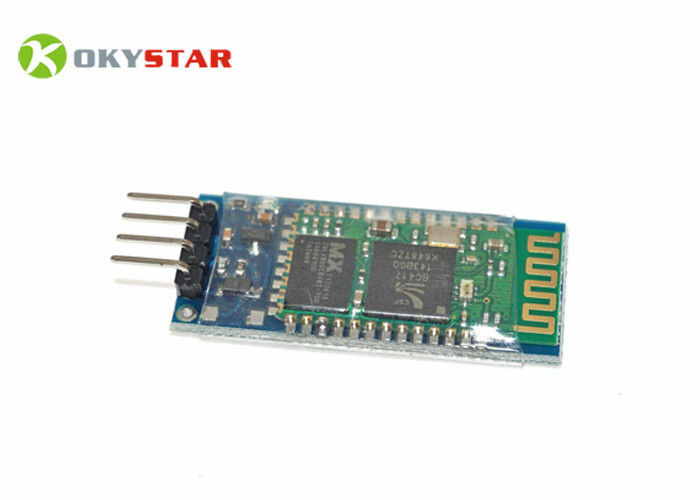 The HC-06 wireless module is a slave Blue wireless 2.0+EDR serial (UART) pass-through module. It can easily pair with a master Blue wireless device, but cannot pair with another slave device. It can be connected to the serial pins on your A'board and serve as a wireless serial link, all without having to do anything except connect power, ground, Tx, and Rx. Once powered, the module automatically starts broadcasting its ID waiting for a master Blue wireless device to pair with it. The module has an on-board voltage regulator which allows you to power the module with supply voltages of 3.6V to 6V. With a logic level of 3.3V you can directly connect this module to a Raspberry Pi but we recommend using a logic level converter when connecting it to 5V logic devices such as most A' boards. 12.With LED indicator light, use 150mA and 3.3V regulation chip.